So it’s not a joint pain product – it’s designed for pain in general, including muscle or joint pain. However, is it really effective in reality – or just on paper? I’ve used this product several times in the past – so I can tell whether it’s a scam or a quality pain reliever. Note: This review is based on my experience with Theraworx Relief – so it doesn’t contain lots of general info about it. I’m not trying to praise/ criticize the product or its company, I am simply telling my opinion about it. My Rating: 7 out of 10 – It’s only effective in certain situations. Worth Buying? : If you have a lack of magnesium, yes – it’s very effective on the short term. So if you have joint problems or any other kind of pain – this product isn’t going to do much. Basically – it only contains magnesium sulfate, which isn’t a real pain reliever. Therefore, Theraworx Relief isn’t a real treatment – it’s just a temporary remedy. For 1-2 hours at most. And as I said, it’s only effective if your pain is caused by a low level of magnesium. So basically, this product contains very little active ingredients. The biggest part are water and additives – which isn’t a great thing, if you ask me. However – keep in mind that it’s just a temporary remedy. The pain will come back within hours/minutes. Another thing to point out – this magnesium seems to be a homeopathic remedy (you can see “6X 0.05% HPUS” on the label). So that’s not amazing, in my opinion – since homeopathy is considered a “placebo” medicine. So in my opinion, Theraworx Relief has some very basic ingredients inside. So you basically become “addicted” to using this foam – as long as you want relief. #2. Homeopathic – As I said, Theraworx Relief seems to be a homeopathic product (I explained above why). This kind of means that the dose is extremely little – too little to do anything real. Now – I’m not saying magnesium is bad. But having some extra stuff would definitely help. Because if I hadn’t read any reviews, I would have never bought this foam – based just on its ingredient list. There’s one thing I need to mention: I didn’t buy this product for muscle pain, but for joint pain. Also – I did not have a magnesium deficiency. The level from my blood was perfectly normal. So Theraworx Relief was designed for pain in general, which means that it should work for achy joints as well – right? Basically, Theraworx Relief didn’t work for me – and fast. Not even like Biofreeze or Penetrex did. So it’s meant to help the pain caused by a magnesium deficiency. 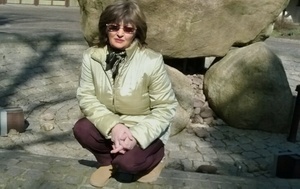 As my joint pain wasn’t produced by that – Theraworx didn’t have any effect. I’m pretty sure that’s the reason behind, as I’ve read several reviews and they all say the same thing. Most creams and ointments tend to cost a little fortune (compared to how they work, I mean). I’ve rarely seen a cream under $20 – for a size that’s around 4 oz at most. Now – that’s the price on Amazon, and it’s the cheapest I could find. But even so, $20 for 7 oz is really affordable – especially for a product that works for real. If you’re the kind of person with cramps caused by a lack of magnesium – this cream is just perfect for you. Plus, Theraworx Relief works extremely fast – it probably depends from person to person, but you should feel a change in 30 minutes at most. It’s true that its effect is pretty short (shorter than in other creams), but once again – it’s not the same for everyone, it depends. But if you’re willing to apply this cream more around 6-8 times per day (as the label recommends) – it’s the right thing for you. Now – if you perform any intense physical activity, workout or anything, you sweat. Besides water, you also lose a small quantity of magnesium. The thing is – most people don’t have a right diet, so the lost magnesium isn’t replaced. That’s how a small deficiency appears – especially if you exercise frequently. So basically – if your pain isn’t caused by magnesium deficiency, Theraworx Relief isn’t going to work. It contains just magnesium and water, so it couldn’t possible help. Therefore, if you don’t exercise frequently and you still have muscle or joint pain – I doubt Theraworx is going to change anything. Now – I know those additives are only responsible for the consistency of the foam. But are they really healthy? Because there are around 10 (that’s what I counted) – which isn’t very little. I’m not saying these substances are harmful – I’m only saying you could get the same mix at home (without the additives). Because I personally don’t like them a lot. Even though it doesn’t work as most creams, Theraworx Relief is still a temporary solution. So basically – your body gets some magnesium, uses it, but the quantity isn’t enough to replace the deficiency. So within hours (or minutes, depending on how severe is your deficiency) – the pain comes back just as before. So if you have muscle cramps pretty often, you should investigate the level of magnesium from your body. In case there’s a deficiency, magnesium supplements are probably the best option – they treat the cause, not just the symptom. My Verdict – Is Theraworx Relief Worth Buying? In this case – it’s a really good product for relieving pain. But I would still recommend investigating your problem by seeing a doctor. 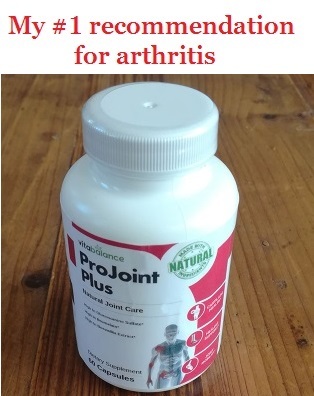 So if you suffer from joint pain, arthritis or any other kind of pain – I recommend you a product that can treat the cause, not just the pain. And no cream I know can possibly do that. For this reason, supplements are the best option for you. My EasyFlex Review – Scam Or Legit Supplement? Thank you for this great review on Theraworx relief. So the relief only lasts 2 hours and you need to apply it up to eight times, depending on the patient, I know. But the manufacturer is certainly getting their money’s worth, especially if they are watering it down along with synthetic ingredients that can be made pretty cheaply. It’s almost borderline false advertising if it is promoted as something that it is truly not. I’m glad that you were able to catch that and realize that a deficiency is needed for it to be effective. Otherwise, the buyer may be leaving money on the table instead of going with a better pain reliever that can get to the root of the problem with a long term solution. I guess it depends on the severity of the injury and the person’s health condition and history. I like how you break down the pros and cons of who the product is really for. I imagine someone can benefit from it if they are really deficient on magnesium in their diet. I have had some muscle or joint pain in my past, but it was pretty temporary and not long term. I am interested in ways of preventing these kinds of pain in the future. There are most likely supplements that can help us prevent these types of joint pain from happening along with a healthy diet. Hi Daniel, thanks for letting me know your opinion. Regarding Theraworx Relief – the number of times you need to reapply it depends from person to person. But I’ve read many reviews from people who were satisfied – and some admitted that you have to reapply it very often. I can’t really say, because in my case it wasn’t very effective – so no matter how many times I would reapply it, the results were the same. You also mentioned something about supplements from prevention. Well, I wouldn’t really recommend directly a supplement – it’s better to follow a natural diet and lots of fresh foods. This isn’t going to prevent arthritis, especially when you get older. But it can make it come up later in your life. – you want to take a supplement for general health that will also protect your joints. But if you’re not in any of these cases, I wouldn’t recommend taking a joint supplement for no reason. There’s no point taking extra pills when you don’t need them – even if they’re natural. Better try to have a healthy lifestyle, cut off bad foods and move around – that’s also going to help. So basically unless you have magnesium deficiency this medicine is of no use. That’s what I was suspecting too, after reading the reviews from Amazon, but I wanted another opinion. So although it’s legit they have some issues because they advertising the medicine for type of pain relieve only to realize that it wouldn’t do you any help if your body has enough magnesium. This the part I don’t like because it’s advertising it’s as all out pain killer while it only can only heal one type of pain. On Amazon, Theraworx it’s described as a pain reliever for cramps and muscle soreness. So I think they’re pretty honest with that, they don’t claim to relieve bone or arthritic pain. But the thing is – there are quite a few people with pain cramps or pain caused by magnesium deficiency. Most people either have arthritis or chronic joint pain – which has nothing to do with magnesium. So lots of people may buy Theraworx in vain. It’s not going to help them, and since it didn’t work – they’re going to call it a scam (which is wrong, because it’s really legit). That’s why I think it’s essential to research and read several reviews before you buy it – just like you did. So you probably don’t have a pain caused by magnesium deficiency – judging after your comment. In this case, I don’t advise you to get Theraworx because it’s not going to help. If you have no idea what’s causing your pain, I think you should see a doctor – just to find out the cause behind. Once you know this, you know what you have to treat. Thanks for letting me know your opinion on Theraworx and I hope this review helped you out. Theraworx works okay for me, I have muscular spasms that wake me up during night time. I don’t know if I have a lack of magnesium, but I might (I work out every day). My pain goes away in a couple of minutes when I add Theraworx. But it’s becoming a chore waking up every night just to put on the cream. I tried putting it before going to bed but I still wake up due to pain, so it’s useless. It only works if I use it when I get the pain. So you are right in your review, it treats the problem without treating the cause of the problems. That’s why my pain resurfaces all the time. Hey Kev, thanks for letting me know your personal experience with Theraworx. As I suspected, it works great for people with a magnesium deficiency – which I pretty much believe you have. Unfortunately, I don’t really know what else to recommend you. The supplements I usually recommend work great for joint pain – but for muscular pain, I don’t really know. I didn’t find any reviews about them on muscular pain. Most customers had either arthritis or joint inflammation. So you could try one, but I can’t guarantee it’s going to work. A thing that could help you is turmeric – because it’s a very strong anti-inflammatory. So I suspect there’s some little inflammation in your muscles too, otherwise why would the pain come up so sudden? I can’t tell for sure, but there are some chances that it helps you. If you need some recommendations, here are the best turmeric products I tried. There’s one I would advise you to try, since it’s cheaper than the rest (Turmeric Plus). But maybe you should buy just one bottle for the beginning, so that you don’t spend money in vain – in case it doesn’t help. It’s up to you, as I said. But turmeric is the only thing I think that could help you – out of the ones I tried. Can Theraworx be used by athletes before performing exercise? can it be used to prevent muscle cramps or outside only used to cure? personally I do go to the gym and at times I work out the gym with a lot of pain in my muscles, to an extend sometimes it gets hard to wake up in the morning I think with the information provided on your post I tend to believe Theraworx can work appropriate. looking forward to hear from you soon as I have already subscribed to your newsletter. Hi Joy, I think Theraworx would help in your case. Now – you probably don’t know how’s your level of magnesium. But considering you work out a lot, it could drop at times. So in this situation, Theraworx would probably help. It’s really affordable so you can give it a try to test it out. If you do it, let me know how it goes.